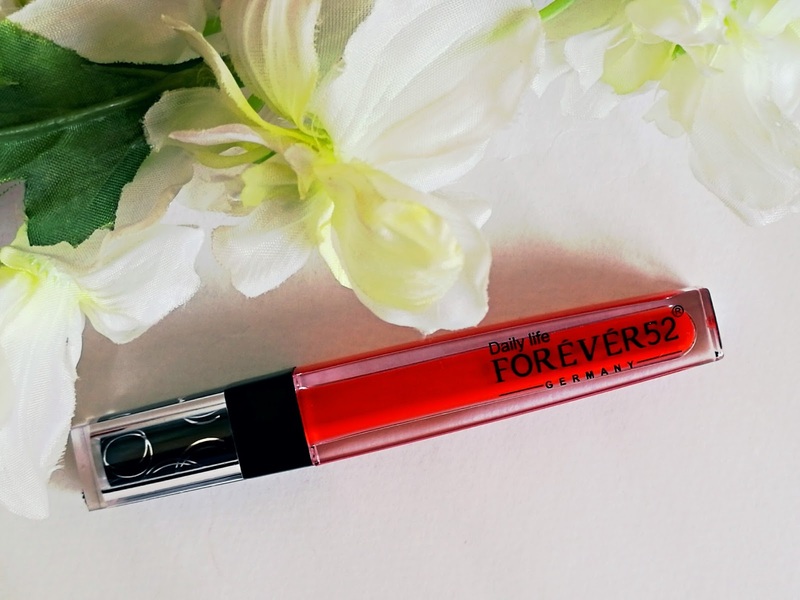 Today,I am going to share my thoughts on the Lip Gloss by Forever 52 Germany.There are thirty-three shades available online and I picked one shade : FM0432. Forever 52 is a German Cosmetics brand. The lip gloss comes in an acrylic rectangular-transparent tube that has a black cap. 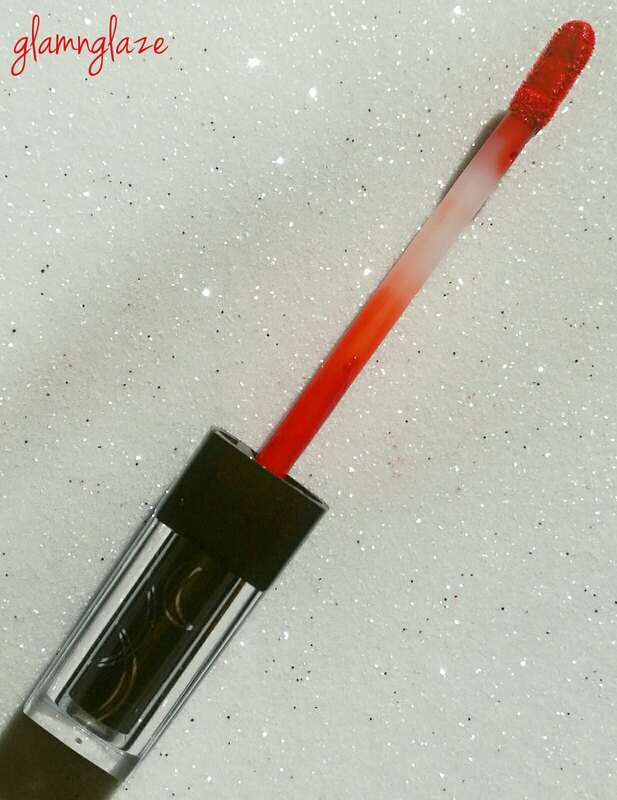 The shade name is mentioned at the bottom of the tube.The packaging is very nice to look at.The packaging is sturdy and travel-friendly.The lid gets closed tightly enough and avoids product spillage. Sleek and chic packaging.I love it.The applicator is a flat-foot sponge-tip one.It really helps in lining out the lips easily.It gives full control/grip to the hands while lining out the lips. The lipstick has a texture that's between a mousse and a runny liquid lipstick/matte gloss. Product is decently pigmented,but, we need to dip into the tube to get more product and apply. 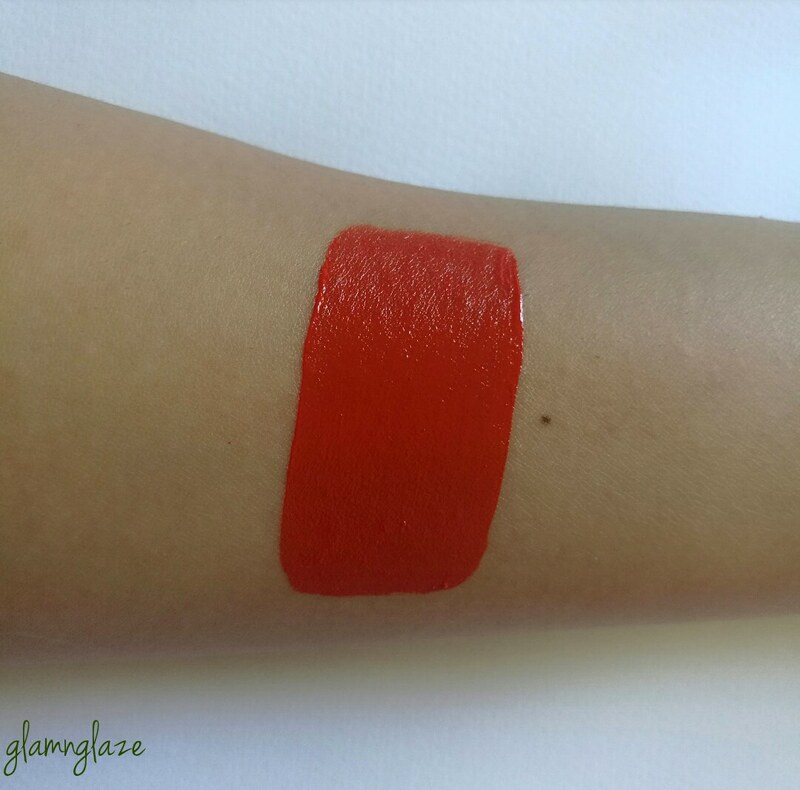 I am so in love with this lip gloss.To start with, the shade FM0432 is an amazing burnt-orange-red shade.It's so summery.This shade will definitely suite all the skin tones.The product doesn't bleed,flake,feather or sit into the fine-lip-lines.Yes it enhances the dry patches on the lips,so please exfoliate the lips prior to applying any lip gloss/liquid lipstick with a matte finish. Very easy to remove using wet-makeup wipes or a makeup-remover. Very mild sweet fragrance that's not at all bothersome. I was amazed at the longevity of this lip-gloss.It stayed on the lips for about six hours straight.It survived ligh.Only when we eat very oily/greasy food it goes away from the center of the mouth. Doesn't stain the lips at all.Being a matte lip-gloss it really lived upto it's name and I am impressed...I must say. Streaky in one scoop.Need to dip into the tube to even out the product on the lips. Overall ,I only wish it was easy to scoop out the product in one go in order to get that evenness of the product on the lips.You need to give some time to evenly spread the product on the lips.At least for this shade I can say as most of the time neon/coral shades tend to be streaky in general and so is the case with this lip-gloss.Otherwise, keeping the demi-matte finish,comfortability and the longevity that this lip gloss provides I am all in for it.